Trigg Island, named after Henry Trigg in 1866, is one of Perth's most popular beaches. Its offers an excellent beach break during the winter months for the local surfers. This rock has been well photographed and lies just north of the point at Trigg Beach. 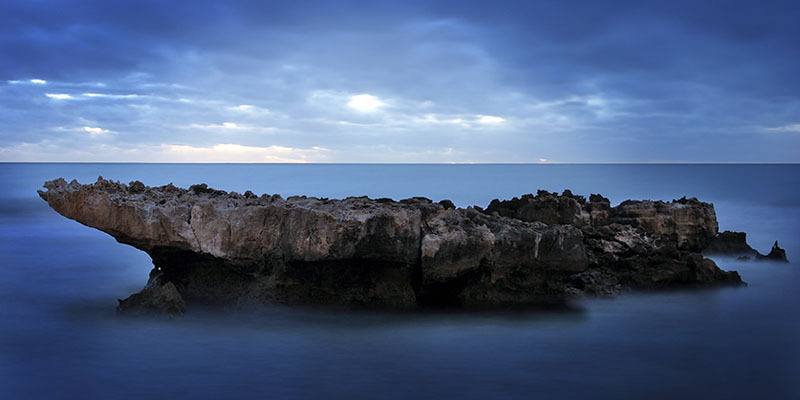 This photo was captured at dusk during a very still evening - the calmness emphasised with the long exposure.